Screen Research is a leading manufacturer of state of the art video projection screens, mainly used for home theatre applications, but also in commercial installations. Screen Research’s hand-crafted and European-built screen solutions are engineered to meet even the most challenging design and installation requirements, offering a large choice of customized products, creating the perfect individual home cinema experience, every time. At Screen Research a rigorous program of continuous development ensures that we stay ahead of the game, bringing the best fabric technology for any application. This is of fundamental importance as the fabric, the surface responsible for the reflection and projection of the image, is the heart of any screen. We continue to work with the industry’s leading certification bodies, like THX® and ISF®, to achieve reference performance into every aspect of our fabrics. 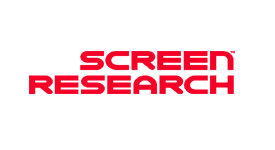 Finally, Screen Research has one of the best configurator tools of the industry. To apply for a user account, please visit the dedicated section on this website.